The elections for council seats in Preston and South Ribble are here again, and in some political parties election literature, the threat by Preston Vision Board to barrage the Ribble and build 4000 houses in its floodplain is like the 'elephant in the room that nobody mentions' - they are sticking their heads in the sand like ostriches, and hoping that this threat to local people and our river doesn't become an election issue. Meanwhile, one party, standing in many seats across Preston, has the headline 'Save The Ribble' prominent in its literature and is asking very legitimate questions about the Preston Vision Board. The Save The Ribble Campaign is not aligned to any political party, but it is clear from this that SOME local candidates are taking this issue very seriously. 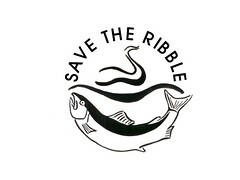 We at Save The Ribble have even been asked by some local residents to stand in these elections ourselves, as 'Save The Ribble' candidates. We decided not to do this, this time, and we also made a clear decision NOT TO ENDORSE ANY PARTICULAR CANDIDATE OR PARTY this time round. 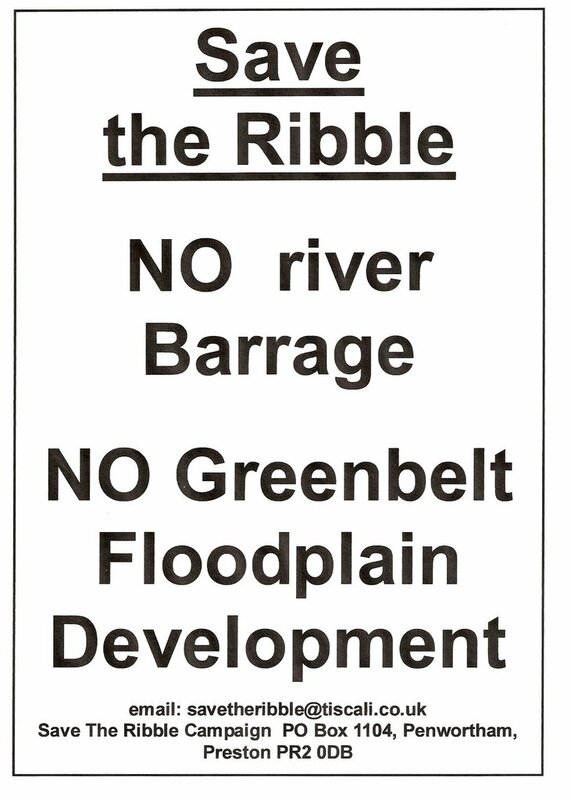 There has been a small number of local politicians over the last year who have been brave enough to take a clear and public pro-Ribble position and make open statements against the idea of a Ribble Barrage. These include Labour Councillor John Swindells, Respect Councillor Michael Lavalette and Conservative MP Michael Jack. Labour Councillor Bhiku Patel is now openly opposed to the barrage proposal, and Labour Councillors David Bretherton and Gaynor Bretherton in Penwortham are now openly opposing the Ribble barrage and "Vision" to build on the Penwortham Green Belt and Flood plain. Two or three other councillors have privately given the Save The Ribble Campaign very valuable information and advice, including one former Mayor. Too many local politicians however have kept silent on this subject, meekly toeing the 'party line' and failing to ask questions of the unelected and unrepresentative 'Vision Board' that seems to be making all the real political decisions in Preston and South Ribble, others have taken great pains to 'sit on the fence', often making themselves look ridiculous in the process as it is clear that many local residents - and some local Councillors - recognise the damage these particular Riverworks proposals will bring to our local and national environment, and to our lives. 1. What is your candidates' position on the Ribble Barrage proposals? 2. What is your candidates' position on the 4000 houses proposed to be built on the Ribble Greenbelt? 3. 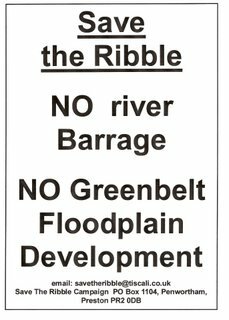 What has your candidate done practically to support the Save The Ribble Campaign, and to oppose the Barrage and Housing ideas? 4. What is your candidate going to do over the next year to oppose the Barrage and Floodplain Housing ideas? Do not accept vague answers and fence sitting! We invite all candidates in these elections to post their own answers to these 4 questions in the 'comments' section below. We at 'Save The Ribble' have members from all political persuasions, and some of us simply distrust politicians intensely. 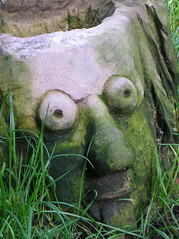 We will be watching our councillors from all the political parties closely over the next few months, and their performance in publicly opposing the barrage and greenbelt housing plans will determine whether we decide to endorse them, or even to stand against them as 'Save The Ribble' candidates in May 2008. "The footpaths that run alongside the river through the parks and to the city centre are a pleasure to walk and I believe a unique asset to the whole area. The river has been improved to a degree that it is now one of the finest fishing rivers in the country and is cleaner than anytime since the industrial revolution. I would not like to see any of these improvements and amenities jeopardised by any ill thought out proposals. If the proposals reach the consultation phase I would certainly oppose the scheme and I am sure that there will be considerable public pressure to reject the plans". We will be watching all these councillors and candidates carefully to see whether over the next year, they turn their words into genuine pro-Ribble actions.